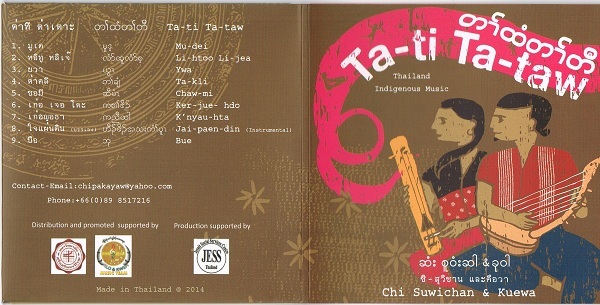 This ethnic group has songs, but there are no people to sing them. They have instruments but no instrumentalist. They have a language, but no one speaks it. They have a culture, and customs, but no one to pass them on. Can such a group maintain its essence, its identity?&amp;amp;rdquo;&amp;lt;br /&amp;gt; &amp;lt;/b&amp;gt;After having the opportunity to introduce Pgaz K&amp;amp;rsquo;nyau music as a tool for telling my people&amp;amp;rsquo;s story, I had the chance to spread my music to many places on this earth, to meet many people, and to participate in various events. Warali Dress Makers Professional school in Chiangmai sponsored by JESS. New graduates and some new students from the Thai Hill Tribes population. 2010-2011 scholarships in Thap-phraya School, Khoksung, Sakeo province, by benefactors from Spain.